Former Manchester United manager David Moyes is reportedly favored to replace Bilic. Moyes quit Sunderland following its relegation from the English Premier League last season. West Ham United manager Slaven Bilic looks on from the sideline during the English Premier League match against Burnley at Turf Moor in Burnley on October 14, 2017. Bilic was sacked on November 6, 2017. Slaven Bilic was fired as manager of West Ham United on Monday after the team dropped into the English Premier League's relegation zone following another big loss. Bilic had acknowledged his position was precarious after the 1-4 home loss to Liverpool on Saturday. "Disappointed, but not in the club. I expected it," Bilic said outside the West Ham's training ground in London after meeting with members of the club's board. "It's a very logical move." West Ham said in a statement that a change in manager was necessary "in order for the club to move forward positively and in line with their ambition". "Sadly, performances and results have not been of the expected standard," West Ham co-chairmen David Gold and David Sullivan said, "and, in recent weeks, we have not seen enough indication of the required improvement to give us the encouragement that things would change and we would meet our Premier League aspirations this season." Former Manchester United manager David Moyes is reportedly favored to replace Bilic. Moyes quit Sunderland following its relegation from the EPL last season. West Ham has won only two of its 11 matches in the EPL and is in third-to-last place heading into the two-week international break. "This season we hoped we would make the step from the start, we just didn't make it," Bilic said. "As with many clubs in the Premier League and in Europe, the manager is the one who is paying the price for it." 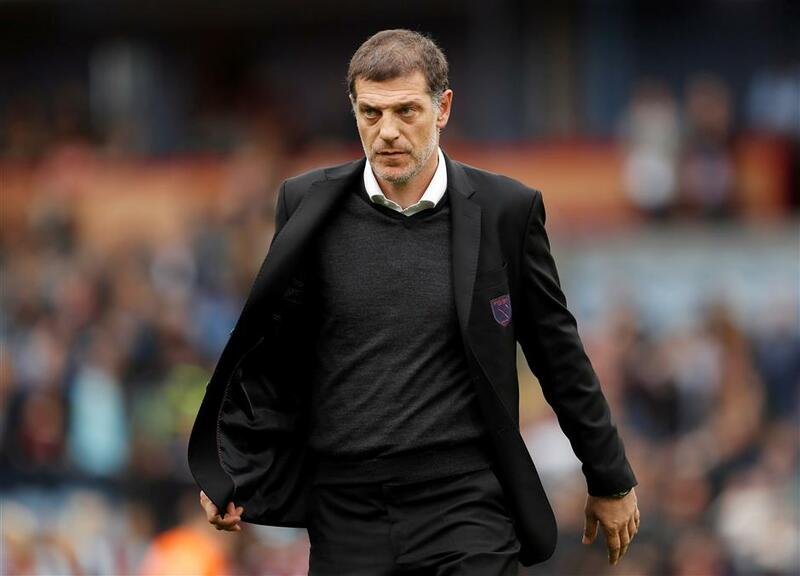 Bilic was hired in June 2015 and guided West Ham, a team he also played for, to a seventh-place finish in his first season with its highest number of points (62) and goals in an EPL season. The team left its Upton Park home of 112 years to move to the Olympic Stadium the following season and the change has coincided with West Ham's problems. The team has been prone to collapsing after going behind — it has already lost by at least a three-goal margin on four occasions this season — and lacked any real identity. Joe Hart, Pablo Zabaleta, Marko Arnautovic and Javier Hernandez joined in the offseason as high-profile signings but haven't improved West Ham. Bilic's assistants, Nikola Jurcevic, Edin Terzic, Julian Dicks and Miljenko Rak, have also left the club with immediate effect but goalkeeping coach Chris Woods appears to have been retained. Woods worked with Moyes at Everton and United. "I am interested but at the moment that vacancy has not become available," Moyes said on TV channel Bein Sports on Sunday. "I know what Slaven must be going through." West Ham said an announcement regarding Bilic's successor is expected to be made "over the coming days". "We see this as an exciting opportunity to appoint a quality manager to the position to inject fresh ideas, organization and enthusiasm into a very talented squad," West Ham's co-chairmen said. Bilic is the fourth manager to lose his job in the EPL after Frank De Boer (Crystal Palace), Craig Shakespeare (Leicester City) and Ronald Koeman (Everton).